Since becoming Music Director in 2004, John Mattern has tripled enrollment, mentoring hundreds of students and encouraging a lifelong study and love of music. Classical music station KDFC named Mattern 2006 Music Educator of the Year, selecting him from among 600 school music teachers in Northern California. Mattern was first drawn into music as a sax player at age 12. He got serious at age 17 when he took up the 5 string banjo and bluegrass music, and ultimately went on to earn a Masters Degree in Jazz Studies from the New England Conservatory. 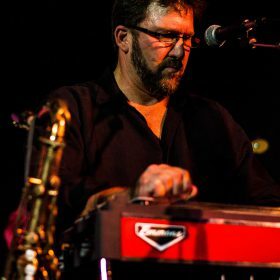 An eclectic multi-instrumentalist, John is proficient in classical, jazz, folk, rock, blues and Americana genres. Learn more at www.johnmattern.com. Redwood High’s Music Department offers students an outstanding opportunity to learn and excel in a variety of musical experiences – and to take that skill well into adulthood. Students explore music in three primary genres: jazz, classical, and commercial/pop. Every class focuses on theory, performance, appreciation, and practice. The emphasis is on striving for one’s personal best, developing musicianship, and becoming a humble, focused, grateful person in the process. All participants gain exposure to professional guest musicians and teachers, and attend fieldtrips to the SF Symphony, SF Jazz Center, Yosemite Valley and beyond. Students gain experience in both solo and ensemble work, performing for parents, peers, and the broader community. 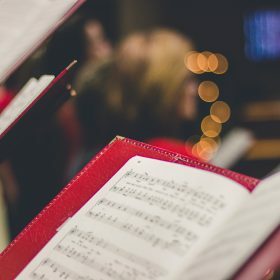 Having gained a reputation for excellence in the community, Redwood music students are frequently invited to perform at events throughout Marin. Numerous graduates have gone on to study music in college, and to find success as professional musicians. The Night of Blues is a much-loved Redwood tradition for both parents and students, featuring our talented student musicians and vocalists. You’ll be amazed at the talent! It’s a great opportunity to kick back and soak up good music and enjoy some tasty hors d’oeuvres. It’s the Music Department’s biggest fundraiser of the year, and a fun way to support our students, keep the department running smoothly, and maintain the same rich musical environment and opportunities for future students. Night of Blues is March 8, 2019 at the Corte Madera Recreation Center. Be sure to mark your calendars! We need many volunteers and sponsors to pull off this event, so if you are interested in participating, contact Co-Chairs Ronnie or Cheryl. "Every impactful memory I have of my experience at Redwood ties back to Mr. Mattern. His music room was like a creative oasis for me, where an awkward, quiet, type A teenager could go and transform into a rock star. One day I was practicing jazz guitar during the lunch break when I should have been doing my homework. Mr. Mattern walked over, sat down next to me, and said 'I want you to know that your success in school is important, and that I know you will always try your hardest to get A’s. But you have a gift. Don't ever let anything take away the space for music in your life. You have the potential to do incredible things in music.' My life changed a bit after that. When a teacher sits down and tells you that you owe it to yourself to commit to a dream, you never forget that." "The great elegance, intelligence and worth of the music teachers present at that time that gave so much more than music – Sidney Gordon and J.D. Nichols and the fabulous events and learning experiences that they were able to afford us at the time. It was a very special and worthwhile place to be!" "Mr. Mattern’s APW class gave me the tools that I needed to have a great start at Berklee College of Music. 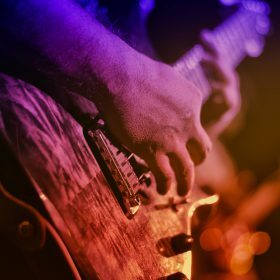 His techniques will make you question yourself as a musician and as a person, but will prepare you perfectly for any challenge you may come across after Redwood. If you follow his instructions, you will be ahead of the game." "My favorite memory was the first time I performed an original song at the Advanced Performance Workshop Showcase. I sang a song called, ‘Time Will Tell,’ accompanied on the piano by Jason Zucker. It was one of my most rewarding moments." Montage including eight different ensembles recorded in RHS Recording Studio / live at the Little Theatre / and live Symphonic Band at The San Francisco Conservatory. The Redwood Concert Band performs at San Francisco Conservatory of Music’s Hume Hall, November 2017. In addition to performing as a class on-campus and off, students have the option of forming small ensembles or giving solo performances. Redwood music students band “The Disciples of Oz” perform at IJ Lobby Lounge. February 2019.